When you buy a house, you aren’t just buying a house. In a way, you’re buying a neighborhood. After all, you’ll likely choose a home partly because it’s close to work, the schools are great, or it’s walking distance to restaurants and stores. In fact, you could argue that picking the right neighborhood is more important than picking the right house. The last thing you want is to buy property in a place where everyone is trying to leave. 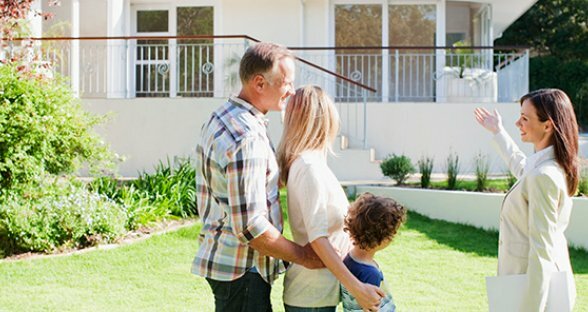 So if you’re looking for a home for your house, here are some things to consider. Aesthetics. An attractive neighborhood indicates the residents care about it. Affordability. Sure, you want an inexpensive house, but you also want to be able to afford the cost of living in the neighborhood. Safe environment. Nobody wants a criminal as a neighbor. Easy access to goods and services. Can you make a quick run to the bank or grocery store, or will every day be a headache behind the wheel due to traffic congestion or construction? Walking distance to goods and services. If exercise and a sense of community are important to you, find a house near the establishments you’ll be frequenting that is accessible by foot. HomeFacts.com. This website contains mostly neighborhood statistics and information, but it also has data on more than 100 million U.S. homes (type in the street address of your prospective house to get the scoop on the whole area). Wondering how many foreclosures are in the area or if there are any environmental concerns? This is your site. NeighborhoodScout.com. Read up on crime, school, and real estate reports for the neighborhood you’re considering. Greatschools.org. Here, you can find reviews written by parents and students of schools in the neighborhood you’re considering. You can also find test scores and other data that may help you decide if this is a school you want your kids to attend. CommuteInfo.org. This site offers a commuting calculator. Plug in information like miles driven and how many miles per gallon your car averages, and the calculator will give you an average cost of what your commute costs may look like in a month and in a year. 3. Red flags. As you’d expect, spotting a neighborhood on the decline isn’t rocket science. For example, pay attention to the property maintenance – overgrown lawns and shrubs, toys left outside, garbage bins not taken in – often reflect that the area is not well cared for and it can negatively affect the property value. Though things are subject to change, selecting the right neighborhood is important. Your neighborhood’s character will likely shape your family’s character. *A First Financial membership is required to obtain a mortgage and is open to anyone who lives, works, worships, volunteers, or attends school in Monmouth or Ocean Counties. Subject to credit approval. Credit worthiness determines your APR. **Standard text messaging and data rates may apply. Article courtesy of US News Online by Geoff Williams. This entry was posted in Home Buying & Selling and tagged First Financial Federal Credit Union, House Hunting, Monmouth and Ocean Counties, Mortgage, neighborhood, refinance by Marketing Intern Brianna. Bookmark the permalink.